The "Crestwood is a traditional-style house that is sure to please. 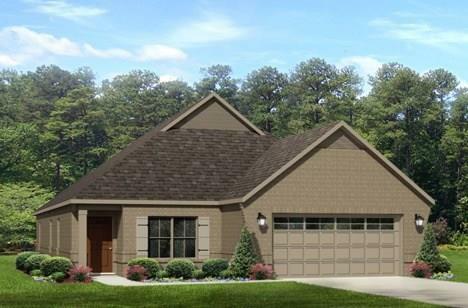 This 4 bedroom, 2.5 bath plan begins with the refined foyer entryway that joins to the formal dining room rich with hardwood flooring. The large great room area with trey ceilings is complete with a fireplace and opens into the spacious kitchen finished with granite countertops and a large island. The master quarters provides a spacious walk-in closet and a bathroom area complete with double granite vanities, garden/soaking tub, and tiled shower with glass door. 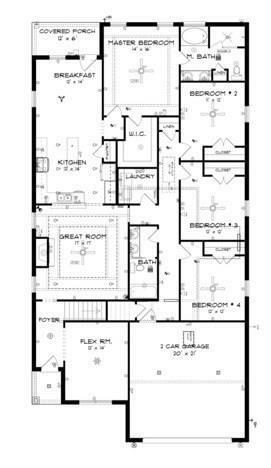 The three bedrooms are spacious and perfect for privacy along with plenty of closet storage. 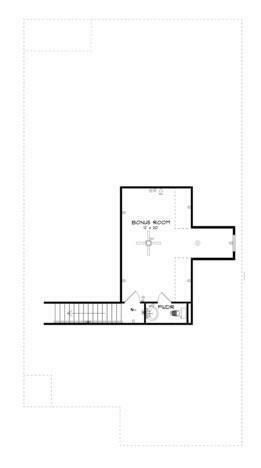 Finally, there is an additional upstairs bonus room with half bath that would work perfectly as an entertainment room or office space. This one and a half story design will not disappoint!